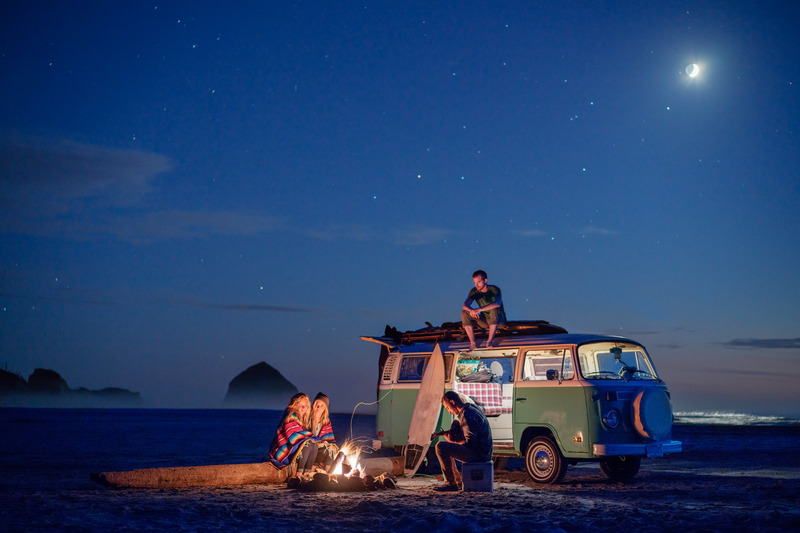 Friends hanging out around a beach fire on the Oregon coast with a VW Bus. Friends hanging out around a beach fire on the Oregon coast with a VW Bus. Photograph by Isaac Lane Koval.